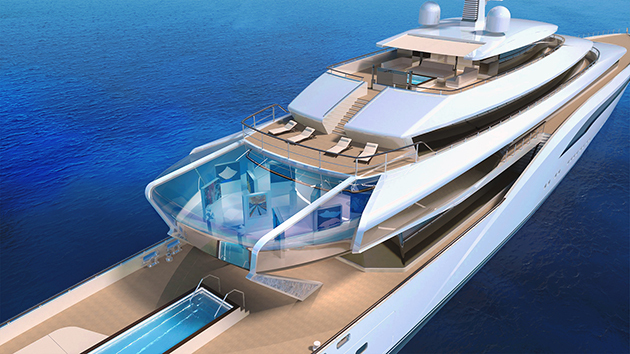 The 110-metre superyacht project was designed in response to the hit Sky Atlantic drama. 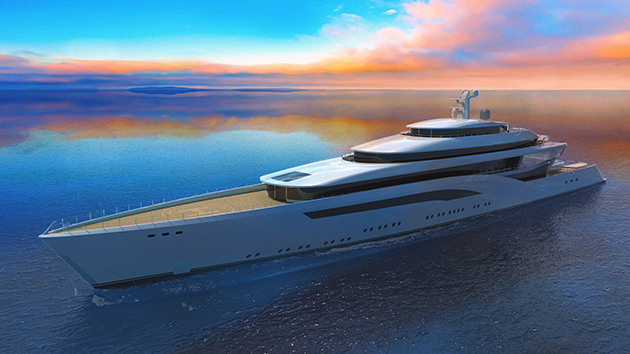 In honour of the Sky Atlantic series Riviera, Dastinas Steponenas has designed a 100-metre superyacht project called Ectheta for the show’s Constantine Clios. Steponenas won the 2016 title of Superyacht UK Young Designer, as well as the International Yacht Design Award at the 2016 Monaco Yacht Show. The sleek aesthetic of Ectheta is designed to look at home on the coastline of the French Riviera, and is also inspired by the world of fine art, a pivotal theme of the Sky Atlantic show. On the bridge deck aft there is a large glass-covered veranda which houses a private art gallery, overlooking the large main deck infinity pool below. The exterior styling makes use of bold edges and strong lines, and the long aft deck gives the yacht a streamlined profile. 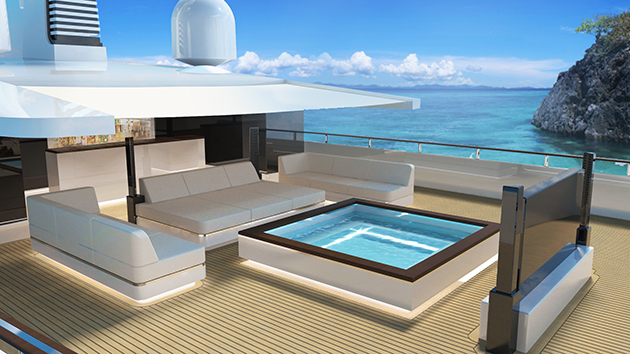 The three deck yacht also includes a helipad forward on the bow and a cinema on the sundeck. On the main deck forward is a full beam master cabin with obligatory ensuite bathroom, and, as per the show’s storyline, a secret room for Constantine which not even his wife need know about.